Congrats to those who like myself survived the apocalypse. If you have now turned into zombies, then I say hello to you as well! Last week was crazy busy with finals, and then my lovely school decided to give us an extra day aka monday to give us finals, which of course my one professor did. But it's over! I was so happy to finally have this semester over with. Passed my classes with three A's and a C and I'm completely satisfied with that. I really have to say I hate any and all "business" type classes. I will never remember any of the terms in them. Anyway I had decided the rest of this week was for friends that were home and relaxing(I also got to finish some present stuff, but that's beside the point). Yesterday I was home alone for most of the morning so I had decided to give myself a mini spa day. 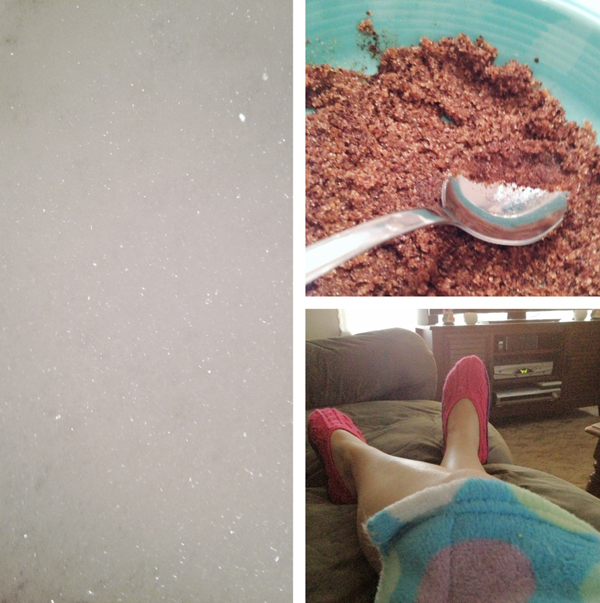 I relaxed with a book while I took a bubble bath and had made a body scrub. I'm impressed with how it turned out m skin felt so smooth afterward. Then for about an hour after that I relaxed in my robe and one of my pairs of slippers. Then of course I had to get dressed and get ready to babysit, but that wasn't a big deal. I made my best friend her christmas present, and then ended up relaxing for the rest of the night. Also I have to tell you how excited I am. 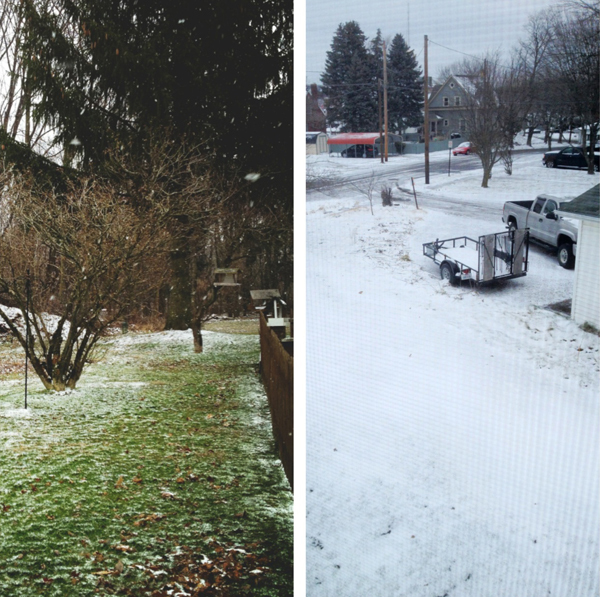 The first picture was yesterday, and the second is from this morning. We finally got the snow I wanted!!! Sadly I don't think it is going to last until christmas, but fingers are crossed. I also want to mention a big reason for my small absence is because I started what I'm calling "Project Organization" it involved me taking everything out of my closet and every drawer as well as taking everything off of every shelf and out from under my bed and tossing the whole lot into a big pile on my floor. I then dusted everything the day I started and I've been working on getting everything organized since then. I'm finally getting close to finishing, would anyone like to see a post on it when I'm done?